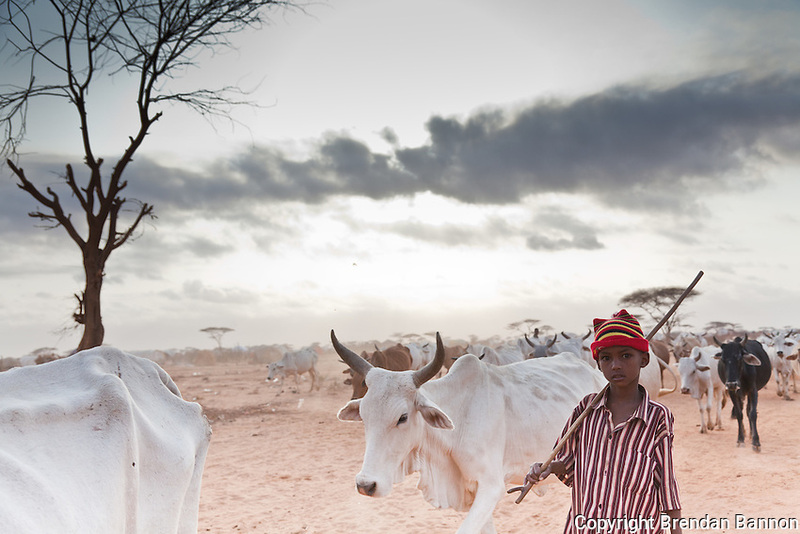 A young boy taking bone-thin cattle in search of pasture at the edge of Dagahaley refugee camp in Kenya. many recently arrived Somali refugees have lost all of their animals to the ravishing effects of a prolonged drought in Somalia. Animals that are still alive are wasting from lack of pasture.